It is somewhat a myth that every time you save a file as a .jpeg that you lose information and compression occurs. 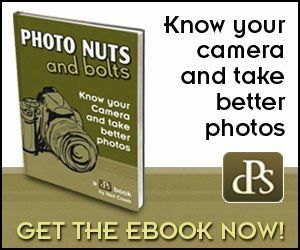 For a long time, many photographers have assumed that if you save your file as a .jpeg that you are losing a lot of data. You may…or may not. For many years, there has been controversy surrounding the use of JPEG. About 5 years ago, programmers (not photographers) were brought in for an in-depth study into the fine data mass of JPEG files and were able to shed some light into their use. You only re-compress the file if you save it as a new file, not if you just click ‘save’. If you open a file up, i.e. called “Apple” and hit save, it will save the data with the modified changes and there will be no compression or loss. You could hit save a million times and it would still be the same exact data as the original. If you click ‘save as…’ and re-name the file to “Apple 2”, you have compression and loss. Click ‘save’ and no compression. Now you take “Apple 2” and ‘save as…’ “Apple 3”, you will have compression again. The compression ratio is 1:1.2 so you only get about 5 re-saves before you’ve lost enough quality to be noticeable. Also important to note, JPEGs do more than compress the file, they also lose color and contrast range. These numbers and ratios are examples for the sake of easy explanation, but lets say a picture has 100 colors and 100 contrast points. A RAW or TIFF file will record all 100 colors and 100 contrast points. However, when the picture is shot as a JPEG, the camera kind of does a little post-production and edits the image for you. The JPEG will only capture say 85 of the colors and 90 of the contrast points. Now the actual ratio and loss is variable depending on the picture and there is no set formula, but the essential summary is; if you shoot in RAW or TIFF you are getting 100% of the data. 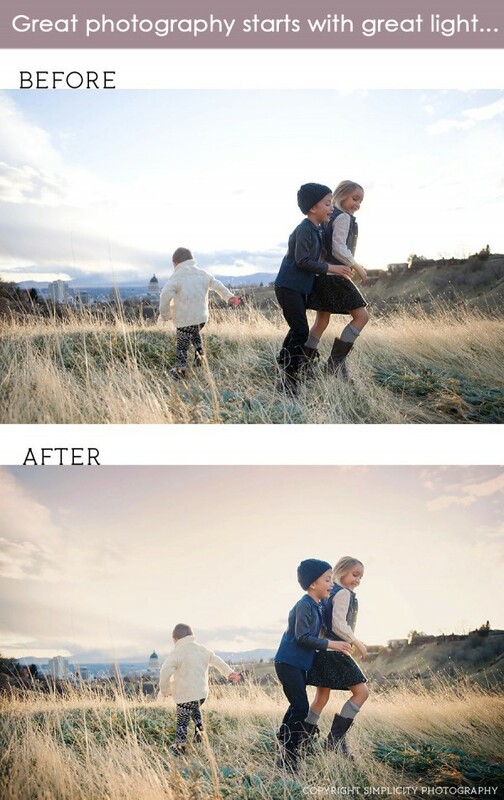 If you shoot JPEG, you not only loose colors and contrast but then get a 1:1.2 compression. This is also true for if you take a RAW or TIFF file in post-production software and save as a JPEG, it will do the same color/contrast loss in addition to the compression of the conversion. Most often, its not visibly noticeable. There is no loss if you copy and paste a file from one drive to another too, but your metadata will be altered. This comes into consideration if you want to ever prove ownership or enter a contest. Many contests now are requiring the original file as proof of metadata/ownership. How Should You Save Your Images: Is JPEG Acceptable? Start by reading this article and the comments on WHAT IMAGES TO KEEP VERSUS DELETE so you are familiar with the terms. If you are shooting “documentation” shots, especially casual family or party shots, then shoot in JPEG and keep them as JPEGs. If there is any chance you are going to capture something “great”, then shoot in RAW. Then when you save the file, you have to save 3 copies: the original RAW file, the edited/layered file (TIFF, PSD, or PNG, your choice), and then a JPEG version of the edited file for more versatile uses. I personally go one step further and save a 60% compressed JPEG as well, for use on the internet. This is so I can use it on websites, albums, etc. and not worry about someone stealing a full size copy. I never publish anything online that is full size, even people shots. Not only will it reduce the amount of space you take up on the site, but if there is ever a dispute, its simple; I have the only full size version. I often hear this from people. The problem with most photographers today is they don’t anticipate what they may want to do with their photos 5 or 10 years from when they start taking photos. By the time you’ve learned that you want all those files, it’s been years of thousands of shots that you’ve taken and won’t be able to recover or convert if you skimp early. So yes, it does take up a lot of space, but quite honestly, hard drives are cheap when compared to the cost of wishing you had kept certain versions or the time it would take to now create all those versions en-mass. You’ve spent thousands of dollars on your equipment to capture and use images that will mean something to you for the rest of your life, $150 more to store another 50,000 files should be a no-brainer. 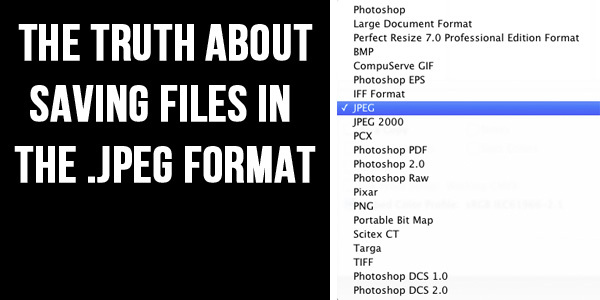 What is the Best File Format to Save Your Photos In? But then I’m in a bad situation when I need to give the photos to a client. Im not supposed to send RAW or TIFF files to my customers, so the only option is compressed JPGS….!? Ugh! I’m a definite Newby and this is one if the struggles inhavevwgucg makes me need to give up. I’ll edit in ugh trim or photoshop. My original 14 meg file gets edited…then I “save as” and I’m stuck with a 4 mg jpg for a client. Aaaughhh! Help!! 2 more things…if you ever want to find out EXACTLY how your camera or program handles JPEG, you can do a test yourself: set your camera to record RAW+JPEG. Take a pic. Open both in LR. First, export the TIFF as an untouched JPEG. Then open and export the original JPEG untouched. Re-import this exported JPEG and then export it yet again. Now open all your files side-by-side; TIFF, JPEG from TIFF, original JPEG, 1st exported JPEG, and 2nd exported JPEG. Blow them all up to at least 400%. Now compare them all very closely. The TIFF should be the best. The JPEG from TIFF and the original JPEG should be the second best and almost indifferential. The lines on the other exported JPEGs should be rather jagged or soft. To what degree will tell you EXACTLY what your camera/software combo will do. Printing. So you are going to send your image off to a printer and they take either TIFF or JPEG. Always send the TIFF over the JPEG, but often the TIFF is too large to email. In that case, I send a JPEG as close to the original RAW file as possible. I also will add about 10 points to the sharpness. On many printers, this will help offset some of the compression effects in the JPEG. If someone were to write the “behavioral nature and purpose” of JPEG, it would be essentially, “to save space”. The simplistic explanation of this is when the file is about to be saved, it takes a look at one pixel and then looks at the pixels surrounding it. Hypothetically for example purposes, let’s use a 10% red pixel for example. It looks at the 8 surrounding pixels and sees 3 other pixels also red. They are 15% red, 11% red, and 8% red. The algorithm in JPEG says (hypothetically), “any other pixel that is red and within a range of 9%-11% shall be converted to 10%”. So the 15% remains 15% as well as the 8% remains the same, but the 11% drops to 10% and merged with the other pixel to save data space. Now, some programs have the ability to “lock” pixels or reduce the range of the algorithm. So maybe a program overrides it and says, “I can’t stop you from converting surrounding pixels, but I am going to refine your range to 9.5%-10.5%”. The determination of what each program actually does is really unknown (or at least in my many hours of looking I haven’t found anyone who has come close to finding them out). There doesn’t seem to be a lot of research into it. Mostly because I’ve found that there are too many variables in trying to determine it. Every camera records JPEG with slightly different variations and then every program does it too. So the possibilities of coming up with a scale or graph would be almost impossible, or at least impossible unless you are a very very bored person with thousands of hours on their hands. All of this still holds true when you save a RAW or TIFF as a JPEG. I am not fully familiar with the effects of PSD to JPEG. I have not been able to find a lot of viable data on it, other than some, “I tried this at home” kind of tests. As for re-saving PSD, all data points to it retains 100%. But honestly I don’t know how fully tested it is. Again I have not been able to find a ton of 100% viable data (if someone finds something, be sure to let me know!) other than some individual un-monitored tests. 1) Use of JPEG should be limited to photos that can afford some compression or loss. 2) RAW is the best format to shoot in-camera when you just aren’t sure what you’re going to do with the pictures. 3) TIFF is the only format fully tested and investigated to retain 100% of its data through multiple uses and longevity AND still be 100% universal. If you save as File1, then File2, then File3 and so on is different, saving as Fil2, opening File1 and saving as file 2, then opening File2 and saving as file3. If you open a file save with a new name. open the new file save with a new name, open THAT new file, save with a new name, that’s where the compression issue would come in. So feel free to try this yourself. I opened a JPG that was 923KB. I did not edit the file in any way. I did a Save (not Save As). The resulting file was 472KB. That, my friends, is compression. Paige, a compression that much has to do with your program settings. There is no way in any program if you have all your quality settings set right that you hit save and it instantly goes to half size. Pam, not quite. You shoot in RAW or JPEG in the camera, whichever you prefer based on your needs. You import the pics say into LR. Then when you export them, that’s when I recommend exporting in up to 3 different files, which gives you a total of 4 files overall: 1) the original file in its original location so it retains all its original metadata, 2) exported edited TIFF which is your “storage copy”, 3) exported edited JPEG copy which is your user friendly version for other applications like use in word, etc., 4) 40% compressed (setting is at 60%) exported edited JPEG for web use. What if you’re doing the majority of your editing in LR? When you export it as a jpg, is anything compressed? Thank you for this information. It’s pretty much what I thought, but nice to have it confirmed. What??? I thought it was just the opposite — that saving as ‘save as’ did NOT re-compress the file, but just hitting ‘save’ DID re-compress. That’s what I’ve been reading for years! Wow. It has to do with saving new changes. If you just save with nothing done, then nothing lost. That said, it is rarely a problem unless you are saving with changes tons and tons of times. Open – Save – Close – Open – Save – Close x …. a bunch. Really great information! Thanks for taking the time to share.